Talk is the fourteenth studio album released in 1994. It is their first release with an independent label after having been distributed the length of their career thus far with Atlantic Records and Arista Records. 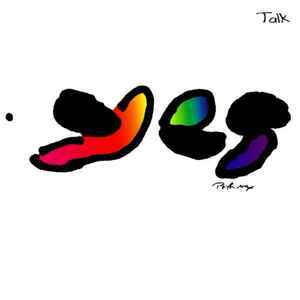 Talk is also the last Yes recording with Tony Kaye on keyboards and Trevor Rabin on guitars, keyboards and vocals. Pop artist Peter Max created the artwork for the album. Why has the price of this record soared so high? Excellent, clean Greek first pressing. My original USA 1994 CD Has the Catalog # VC2 0033. I up loaded the CD and wrap scans showing it.